Slow March sales not like to trigger rebate war, says CEO Ghosn, who expects makers to accelerate use of new safety technology. Carlos Ghosn said in New York today that strong U.S. sales present Nissan with a capacity problem and the maker may need a new plant. March brought disappointing car sales for most manufacturers, but the recovery of the U.S. market hasn’t topped out, said Carlos Ghosn, CEO of the Renault-Nissan Alliance, during a NY Auto Show media roundtable. In fact, the market is strong enough to keep the Nissan brand on track to hitting a targeted 10% market share, Ghosn said. That goal actually poses a problem for the Japanese maker, making it increasingly difficult to roll out enough vehicles from its network of North American assembly plants. 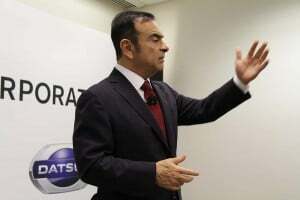 “Without a doubt,” said Ghosn, “we are going to need more capacity in North America.” The question is whether that will come from a new assembly plant or by finding ways to boost capacity at existing facilities, such as the core factory in Smyrna, Tennessee. In a wide-ranging discussion, the outspoken executive tackled a variety of topics ranging from the core structure of the Renault-Nissan Alliance to the upcoming federal review of the 2025 Corporate Average Fuel Economy, or CAFE, standards. 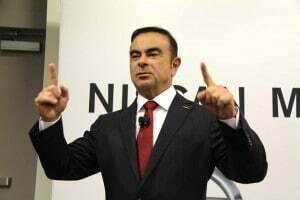 Nissan-Renault's Carlos Ghosn believes Nissan will get to 10% marketshare in the U.S. He touched on several topics during a roundtable today. 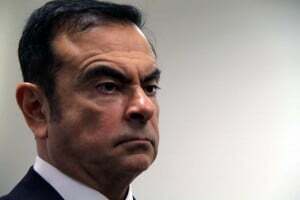 Ghosn was asked, at one point, about Toyota’s announcement this week that it would begin offering a low-cost package of advanced collision avoidance technologies. Including such features as collision warning and active cruise control, it will appear on such models as the new Toyota RAV4 for as little as about $500. “One of the first requests consumers have is safety,” said the Nissan chief executive. “And those requests are becoming more sophisticated. I’m expecting all those (collision avoidance) functions to become more generalized and drop in cost,” Ghosn added. Such technology, he noted, is fundamental to the autonomous vehicles expected to become commonplace in the coming decades. “All the technology is there,” he said, stressing that Nissan is sticking with its target of launching a fully autonomous vehicle by 2020. And it will begin a “step-by-step” process in 2016 with the debut of a semi-autonomous vehicle capable of holding its lane on a limited highway without assistance from a human driver. In 2018, Nissan plans to upgrade that to permit a vehicle to change lanes and overtake other vehicles. Nissan is pushing into a number of different new technologies. It is one of the manufacturers most committed to battery propulsion with vehicles like the Leaf, the world’s best-selling battery-electric vehicles. Ghosn denied rumors of a pending partnership with Fiat Chrysler, but added that partnerships within the industry will be more commonplace in the years ahead. While he denied some recent news reports suggesting Renault-Nissan might be discussion a partnership with Fiat Chrysler Automobiles, Ghosn said he expects to see manufacturers from around the world tie up in a variety of ways, whether mergers and acquisitions, alliances like Nissan and Renault, or more limited partnerships of convenience – similar to the way the Alliance is working with Daimler. There has been some buzz about the long-running tie-up between the French and Japanese makers, some stockholders calling for a change in the Alliance structure. Ghosn indicated that isn’t likely to happen, at least not while Nissan is in the midst of a global plan aimed at boosting market share and pushing its margins up to 8%. Whether the ongoing U.S. auto market recovery can be sustained is an ongoing question, one that gained new concern in March, with an unexpected year-over-year sales decline. But the numbers were misleading, chimed in Jose Munoz, who oversees Nissan operations in North America. This March had one less weekend than in 2014, which was all but certain to reduce showroom traffic. This entry was posted on Thursday, April 2nd, 2015 at and is filed under Automobiles. You can follow any responses to this entry through the RSS 2.0 feed. Both comments and pings are currently closed.